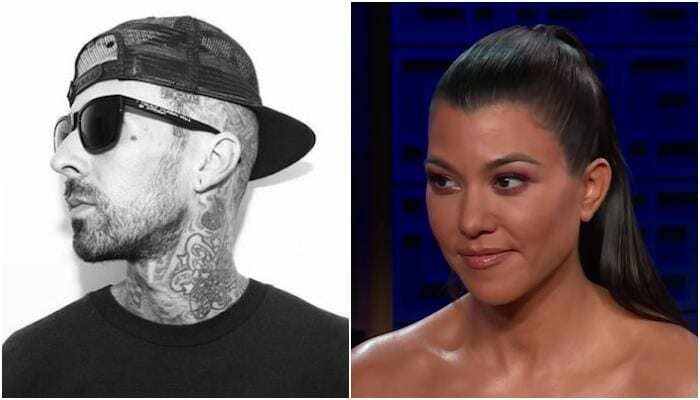 Travis Barker confirms that he and Kourtney Kardashian are just friends. Before Travis Barker opened up the iHeartRadio awards with Halsey and YUNGBLUD a few nights ago, the blink-182 drummer addressed rumors that he was dating Kourtney Kardashian. Despite what you may have seen earlier this week, Barker has set the record straight, confirming that he and Kardashian are actually just friends. Last week, rumors where buzzing that Barker was romantically involved with Kardashian when RadarOnline alleged that an “inside source” knew the status of their relationship. The story suggested that since Kardashian’s last relationship, the two had become closer than ever. The source also said that Kardashian was unexpectedly “falling” for Barker. Additionally, according to People, Kardashian and Barker were spotted having dinner with each other and their children last month. That said, it’s easy to understand how some misconstrued the pair’s friendship for something more romantic. Check out Barker’s Thursday night performance with YUNGBLUD and Halsey below. In other blink-182-related news, Travis Barker announced that new the blink-182 album should be out before Warped Tour. 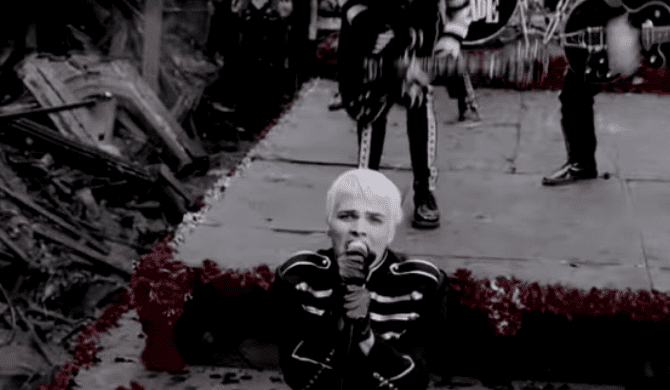 Additionally, Barker says that the forthcoming record has the same vibe as the self-titled. “It’s kind of anything goes. It’s the same vibe that was that was going on when we did the self-titled. Literally anything goes,” Barker says in the interview. “I think we’re creating one of the most important blink albums, so I’m really proud of it. Additionally, Tom DeLonge revealed why he left the band in the first place. In a video about DeLonge’s company, To The Stars Academy Of Arts & Science, he reveals that he actually wanted to use his talents and interests and put them toward something even bigger: changing the world. What do you think of Barker crushing recent dating rumors? Sound off in the comments below.